This is fall fishing. Sunny days, chilly nights, active fish in cooler waters feeding up for the winter. Big twin has excellent fly angling for rainbows. Lots of fish cruise the shallows this time of year, and a sinker and leech are always good farther out. My favorite is a dry line with a long leader to a weighted nymph. Sight fishing or covering rises usually does the trick. We’ll set up the barbecue and provide steaks for those that sign up in advance. As always, bring your favorite appetizers and side dishes to share, beverages are on the club. The fishing is pretty easy, with sinking lines and leechy-buggy patterns out in the middle doing well on hot days, and dry lines and nymphs around the edges and in the shallows in front of camp. In the past we have even had adult damsel action in October. Electric motors are allowed. For the WDFW Map click on http://wdfw.wa.gov/fishing/washington/558/ . The club will provide steaks for all who sign up, and there will be grill for everyone to use. As usual, happy hour (with club beverages) starts around 5:00 PM, with dinner an hour or so later. Bring your favorite side dishes to share. At Big Twin Lake Campground there are tent ($25 + tax) and hookup ($36 + tax) campsites available as well as showers and boat launching areas. Available also are 2-3 rowboat rentals. There is complimentary Wi-Fi. The campground is fine, and easy to find, only 15 minutes from Winthrop. Tell the campground you are with the WFFC group as we have a group area. You can make reservations at [email protected] , or call 509-996-2650. The address is 210 Twin Lakes Rd., Winthrop, WA 98862. There are motels in Winthrop, also. There are three boat launches on the lake, including two free ones across from the resort. 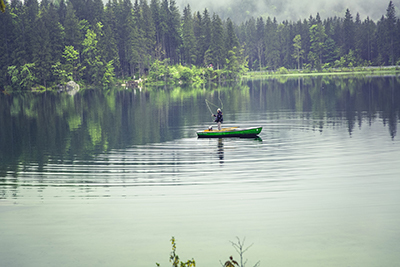 Another lake nearby is Davis Lake which is a day option that can be good fly fishing according to our resident experts Chuck Ballard and John Callahan.